Found 21 blog entries for November 2017. Wednesday, November 29th, 2017 at 1:01pm. Thanksgiving means turkey and all the trimmings and family get-togethers and football and the Macy's parade and eating until you can't breathe. It also means you're going to be seeing your neighbors up on ladders in the next few days putting up their holiday lights. If your house is currently for sale or if you're considering listing it, you may be wondering whether you should bother at all with holiday decorations this year. In a word: "YES", But there's more to it than that. There's a long way between Scrooge and The Griswolds. Welcome to The Cascade Team Betsy Burroughs! Tuesday, November 28th, 2017 at 4:00pm. My formula for the perfect real estate experience is to combine impeccable service with a tireless attention to detail to achieve a successful sale or dream purchase. The most important ingredient is your goal for buying or selling your home. That’s why I learn all I can about you and your objectives. Then I go to work at my greatest passion: creating or finding that ideal match where place, personality, and price all come together. What Cities Have the Largest Household Holiday Budgets In Washington State? Monday, November 27th, 2017 at 9:43am. When it comes to the holidays, we should all make friends with people in Bellevue. Residents in that city are expected to have the largest holiday budget in the state. In fact, with an average holiday budget of $2,367, Bellevue takes third place in the nation for spending between now and Dec. 25. Wednesday, November 22nd, 2017 at 8:40am. As we all prepare to celebrate the wonderful holiday known as Thanksgiving — aka, Turkey Day, over indulge just a little bit, and also bring our families near let us also remember... Being around your family can be just as incredible as it can be super stressful when you're trying to make sure everything goes according to plan for the holiday. So remember, they're family nonetheless, and they have many moments when they make you feel amazing along with those moments of stress. As a way of helping through those more stressful moments The Cascade Team would like to offer a few motivational quotes along with some fun Turkey Day trivia you can use to lighten any moment in need of "Breath or two and Zen-Like stress relief"
Monday, November 20th, 2017 at 2:58pm. Monday, November 20th, 2017 at 2:20pm. Great 3 bedroom 2 bath home in sought-after Phoenix location. Convenient and close to freeways, schools & shopping. Hard to find large diving pool. Updated interior including kitchen upgrades with solid surface Corion sink and counter tops, ceiling fans in every room and solid surface floors in all the right places. This home is turn key - move in ready. Friday, November 17th, 2017 at 12:44pm. Please Join us for our 12th Annual Holiday Tree Lighting in Snoqualmie! Children of all ages will enjoy this special evening of community holiday fun! Enjoy Cookies, Cider, Caroling and Live Holiday Music! And, Free Pictures with Santa! 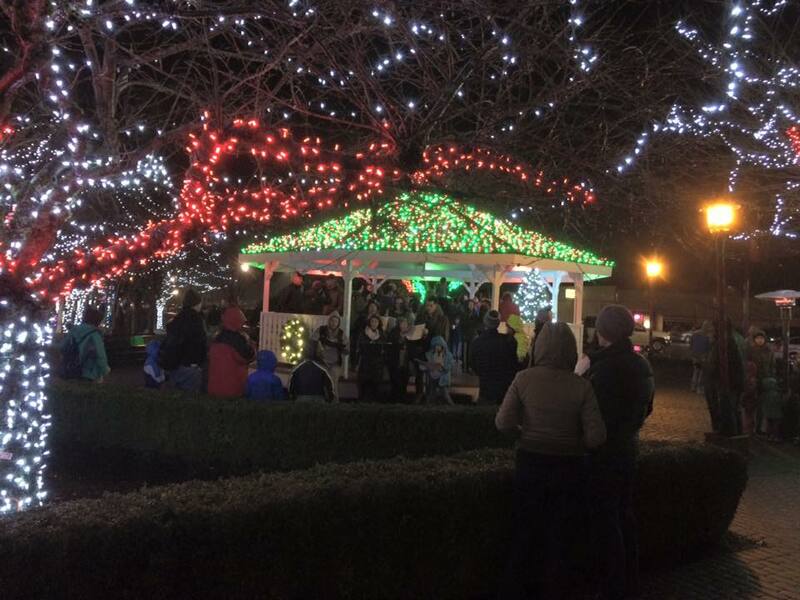 From 5 to 8 p.m. Nov. 25, come to Railroad Park for an evening of caroling, choir music, Horse Drawn carriage rides provided by The Cascade Team Real Estate, visits with Santa and refreshments. Santa arrives to light the tree at 6:30 p.m. and then to visit with children. Tuesday, November 14th, 2017 at 1:37pm. With everything going on from Holiday parties to shopping and visits from the in-laws we know that it’s easy to turn away from listing and selling your home during the holidays. Plus almost everyone says the market slows down in the Winter and you should just wait until Spring, right? WRONG! While it’s true the market is usually slower around the holidays, the current market trends of constrained inventory and desperate buyers have in fact made the Holidays an excellent time to put your house up for sale. With fewer sellers listing during the Holiday period, buyers are left sitting around with pre-approval letters in-hand just starving for inventory! Tuesday, November 14th, 2017 at 9:58am. Sunday, November 12th, 2017 at 3:38pm.